The term Business Intelligence (BI) has lost its charm due to excessive overuse. However, its ability to upsurge the growth of a company remains the same. This article covers business intelligence from multiple aspects such as people, processes and technology. 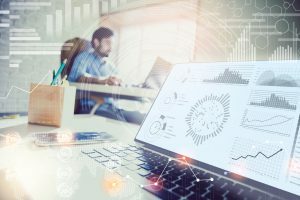 The focus remains on the importance of businesses intelligence for businesses of all scopes and sizes, and how BI can help businesses drive performance through top of the line BI solutions. The majority of businesses still do not have complete knowledge about business intelligence, its significance to drive organizational performance, and its benefits. As a business, it is critical to utilize Business Intelligence tools in the best way possible so that you can effectively transform the collected raw data into useful information. This will help you not only make better and informed decisions about your business but drive increased revenues. Make use of appropriate tools and solutions in this data-driven industry where everyone is looking for ways to gain a competitive edge over others. If you think that investing in BI tools is an unnecessary expense, you are wrong. With Business Intelligence, you seek newer opportunities to achieve success in the short or long run. In case you are still not convinced, we have compiled a list of eight ways that BI can drive your organizational performance. As a business owner, there are situations where you have to make important business decisions on the spot. These decisions are time critical and it is important that you make the right one. This is only possible if you have access to the right information, which is beyond plain numbers in a column. Develop a clear understanding of what those numbers mean for your company and its success. BI solutions provide quick and immediate access to essential information with a single click. It is important that your performance indicators such as your daily, weekly, and monthly tasks and goals be properly aligned with your business strategy. If you are not doing so, you are wasting your valuable resources, time, and money. Employees can effectively leverage BI tools and solutions to make data-driven decisions. Business Intelligence solutions provide people with real-time and relevant data. Thus, organizations can efficiently drive their performance using this information. BI tools also influence an employee’s growth creating a competitive environment within the organization. Before technological advancements, people used to perform manual data entry work which was prone to human error. As humans, we tend to make mistakes in simple copy paste tasks that consume a major chunk of our daily lives. With BI solutions, your data entry and calculation tasks are automated, saving valuable time. You do not have to worry about generating a quick report or view data visualization to see where your company stands at that moment. In time you wasted on performing manual data entry and calculations, you can now see the results of how your business is performing to make profitable decisions. BI solutions enable customers to have access to customer insights. If you are looking to drive your business forward, it is essential to meet the customers’ needs at all times. This is only possible if you understand your target audience along with their behaviors and preferences. If you are still not convinced how BI tools can give a boost to your business, it is not possible without implementing Business Intelligence. You do not have to spend hours looking at past reports to discover customer behaviors and patterns, let the software do its work. The primary function of BI solutions is to get your essential sales information so that you know your strong and weak points. In case you are working with multiple sales partners, you can get access to information that evaluates the performance of each partner and how they can improve. With Business Intelligence, you can significantly cut costs and other finances such as inventory. There are instances where your inventories exceed the usual demand. Not only are you spending extra money on acquiring the items you do not require, but also paying for their regular maintenance. BI software enables businesses to increase savings by providing information of areas where they can cut costs. BI tools significantly improve the productivity of an individual, department, and an entire organization. As a project manager or business owner, you can closely monitor the tasks and overall performance of your employees and teams. Budget Calculator Spreadsheet That Guides You As You Build Your Budget and Looks... Confused by Tax Bills? You’re not Alone.